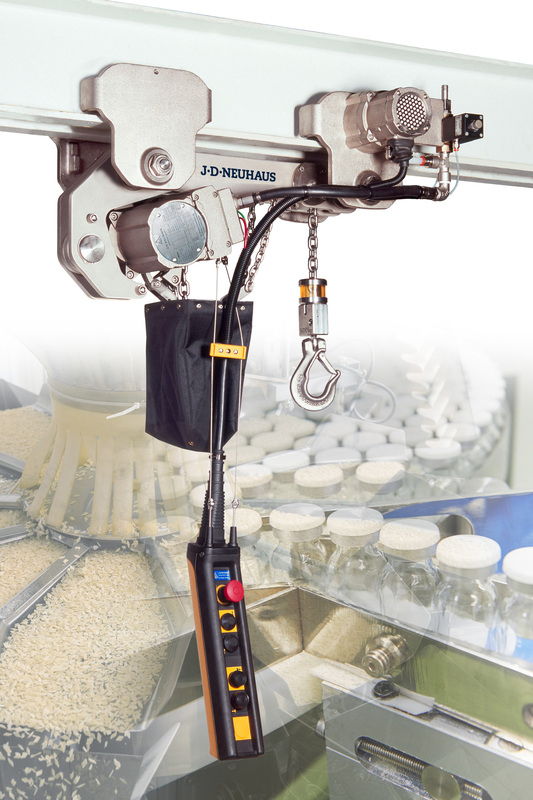 Materials handling specialist J D Neuhaus (JDN) can provide a whole host of innovative hoist solutions for working environments that demand high levels of cleanliness and hygiene. Industries such as food, beverage, pharmaceutical and chemical must all conform to strict regulations when it comes to clean working practices. Utilising the appropriate materials handling equipment, therefore, is a paramount requirement and to meet this, JDN has created a nickel-plated hoist to ensure the highest level of cleanliness. 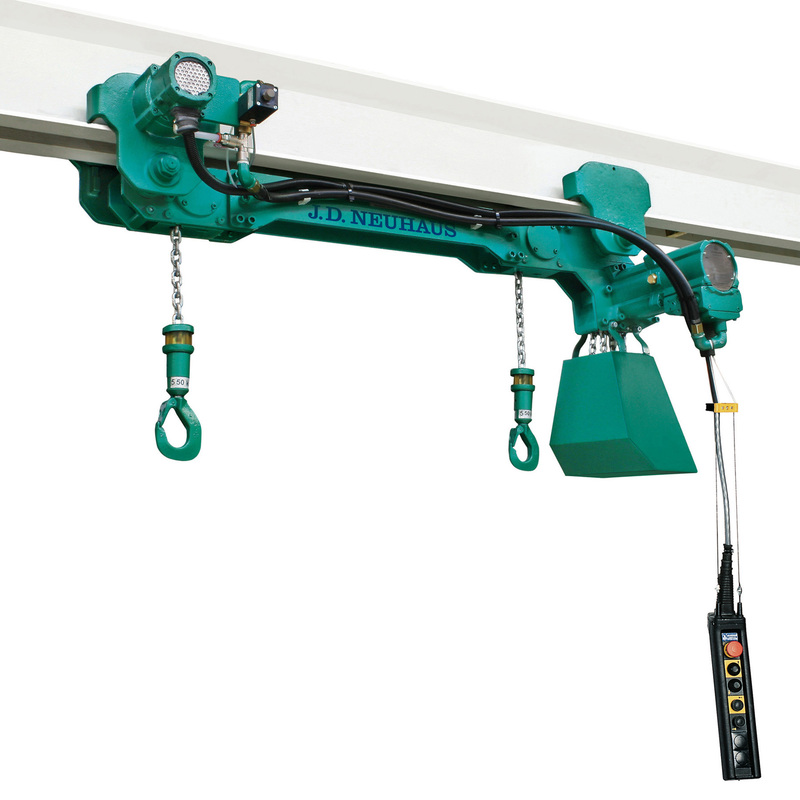 Designed specifically for clean operating environments, this hygienically robust hoist can be configured in their standard Profi TI series for 0.5 to 1 tonne, or big bag handling unit and low headroom trolley hoist for 1 tonne. All of these feature outer surfaces plated in 25 µm thick nickel. 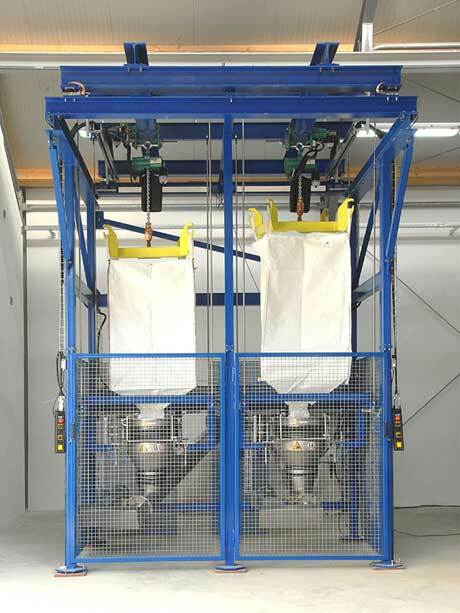 JDN's nickel-plated big bag handling air hoist is part of a range of products designed for applications that need to process powdered, granulated or other free-flowing materials which need regular, high volume top-ups in order to maintain the high levels of production. These hoists are suitable for handling food products such as salt, sugar, flour and starch, as well as chemical and pharmaceutical products. All these air operated JDN products provide explosion protection features for safe operation when being used in potentially explosive work environments. Big bag handling air hoists are available at carrying capacities of 1100 and 2200kg (with 6 bar air pressure). They can be supplied in two configurations of single or twin lift/load hooks. The single hook unit is designed for operation with a standard cruciform lifting beam. The large distance between the hook and the chain box advantageously eliminates potential collisions between the load and the chain box. J D Neuhaus has a history that can be traced back to 1745, and is now in its seventh generation of family ownership. Visitors to the Hebezeug-Museum (Hoist Museum) in Witten, are able to see for themselves the remarkable history of this progressive company. With over 200 employees across the group, the company manufactures pneumatically and hydraulically-operated hoists and crane systems up to 115 tonne capacity from its state-of-the-art facility in Witten, Germany. This globally unique specialisation means that J D Neuhaus has set the quality standard for the market; a move that has seen the company become the established global leader in its technology field with customers in more than 90 countries worldwide. J D Neuhaus' wide portfolio of services goes beyond manufacturing and also includes equipment assembly, inspection, maintenance and general overhaul, along with customer training courses and other consultative services.